thank you in advance for going on it with us. By George Slefo. Published on March 21, 2016 . 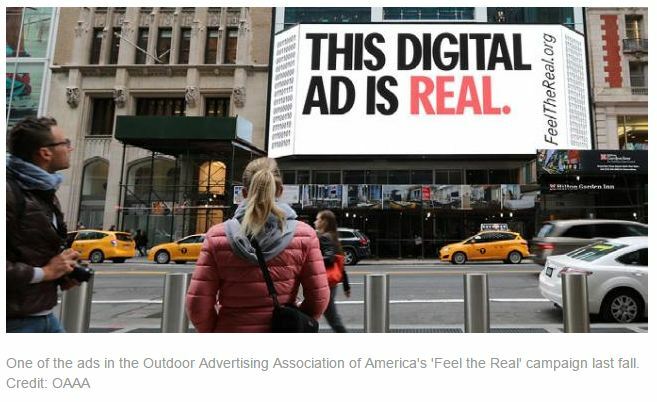 Last fall the Outdoor Advertising Association of America won attention during Advertising Week with a set of very effective out-of-home ads for, well, out-of home ads. 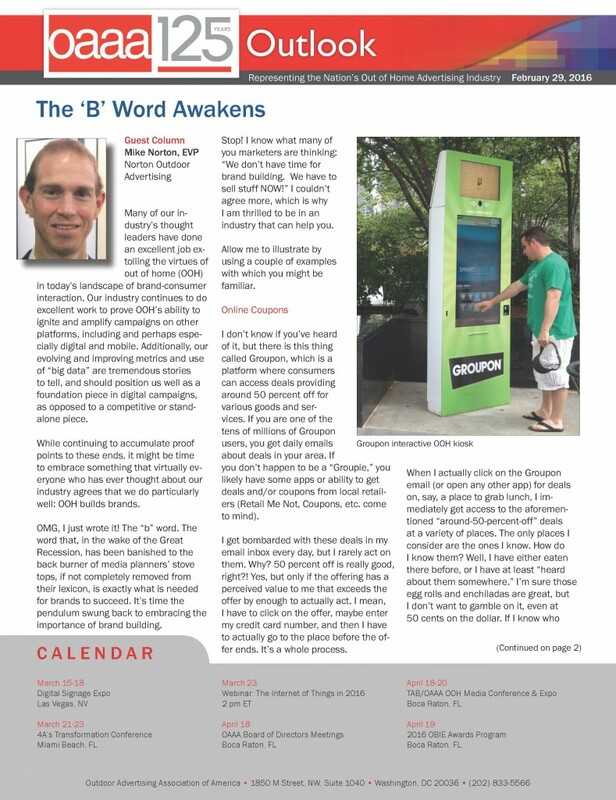 With billboard trucks attacking ad fraud online and precisely-placed signs targeting individual ad buyers by name, the campaign drove traffic to FeelTheReal.org, demonstrating the power of its own medium and simultaneously sowing doubt about betting everything on digital. Click here the read the full story.